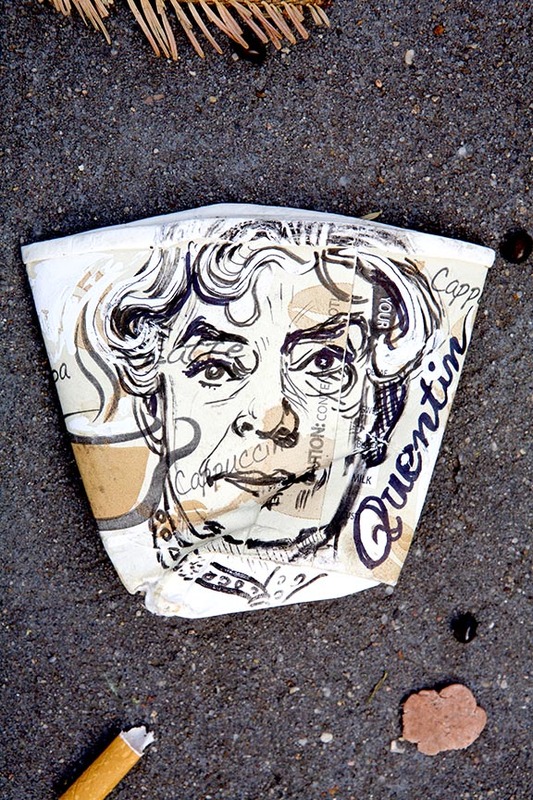 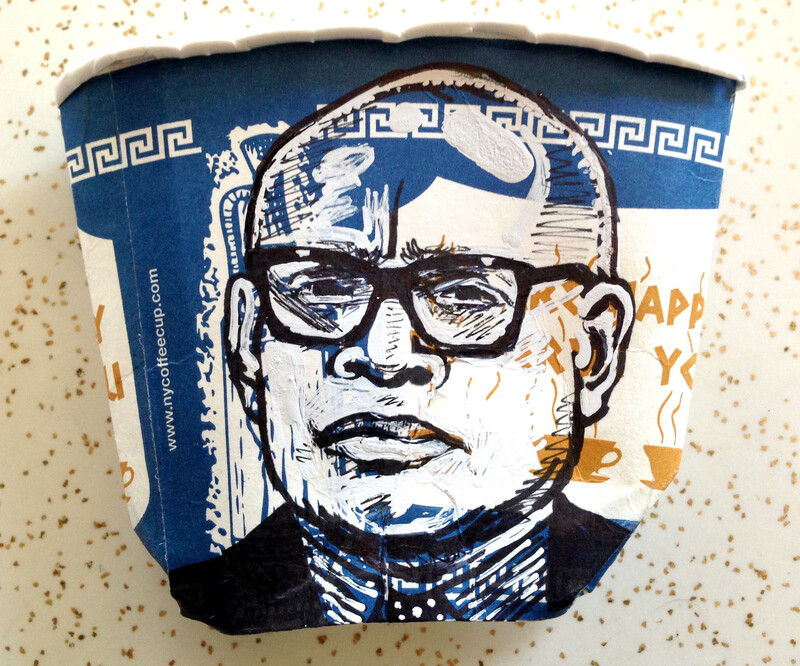 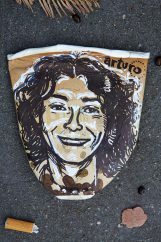 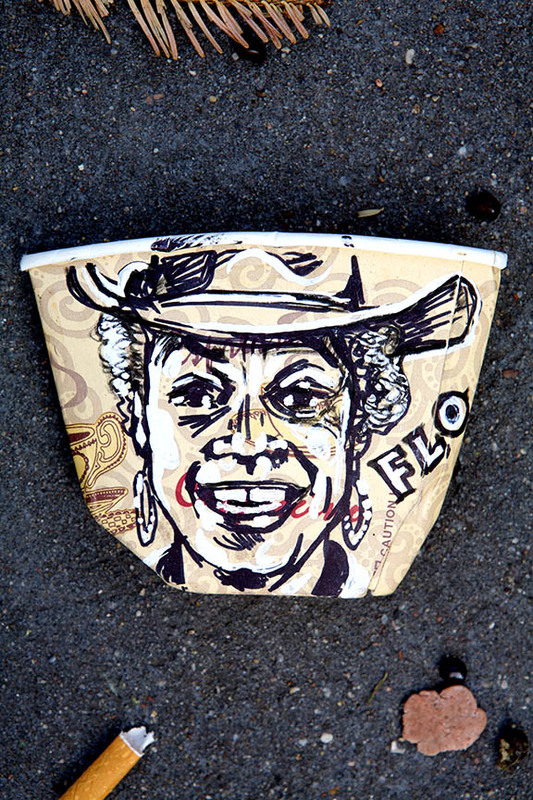 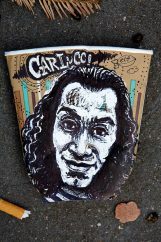 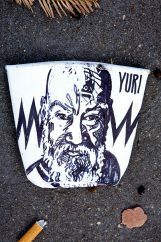 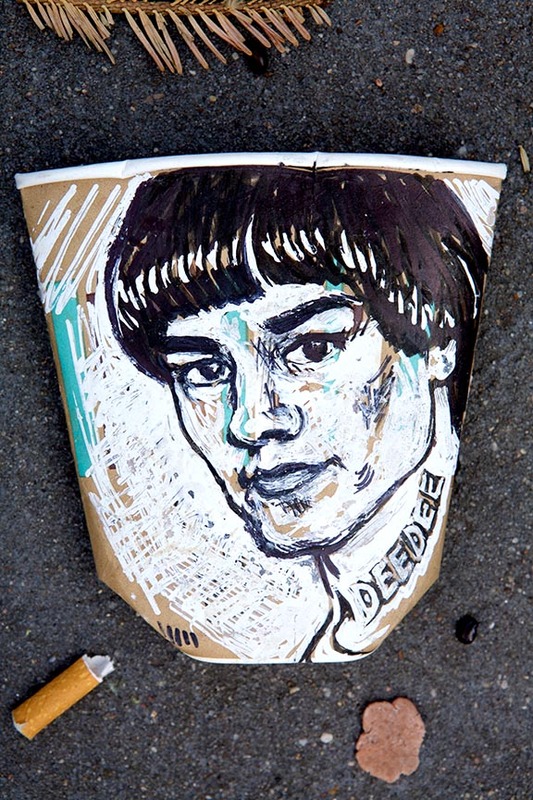 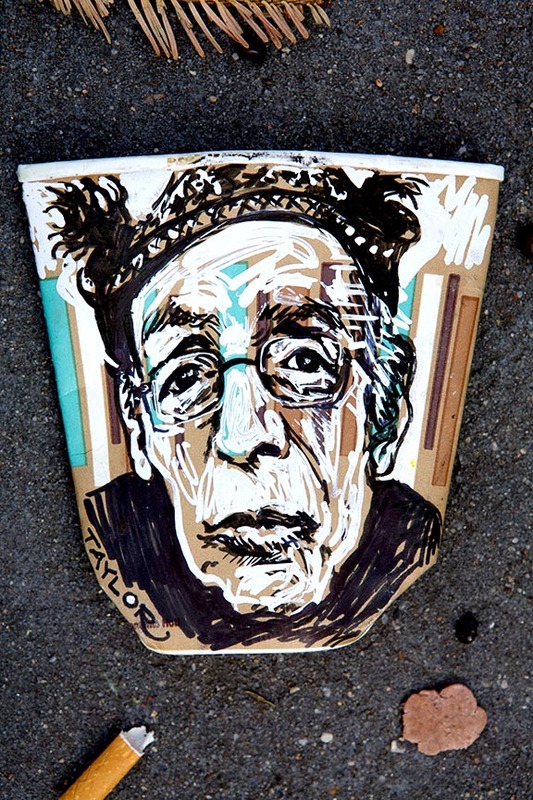 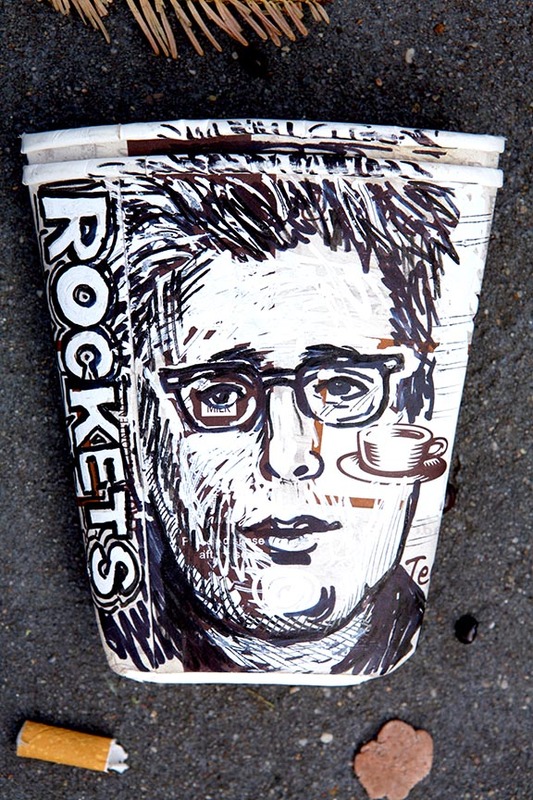 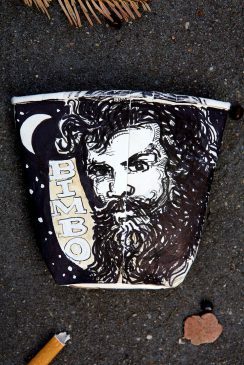 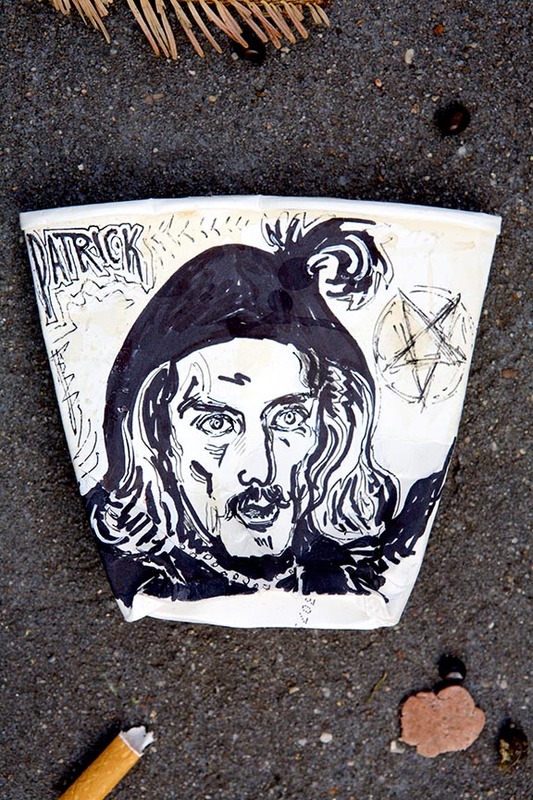 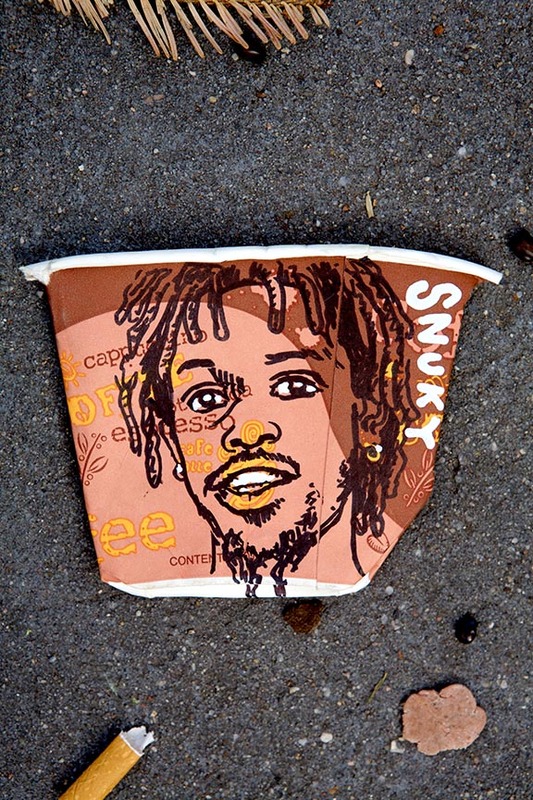 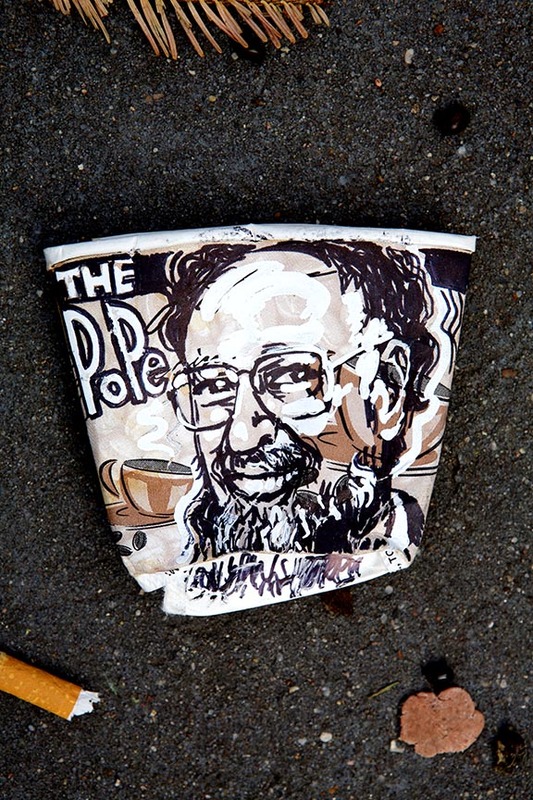 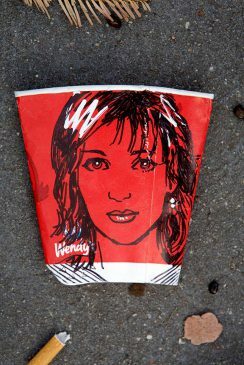 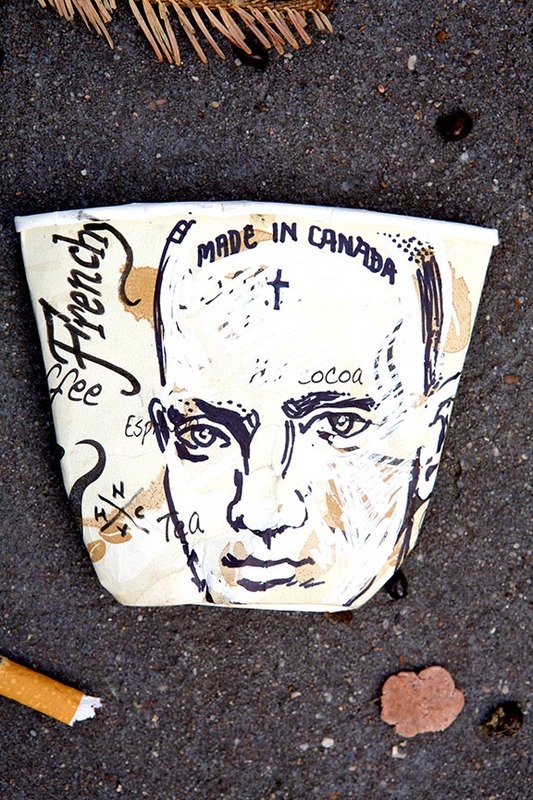 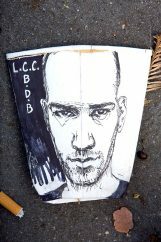 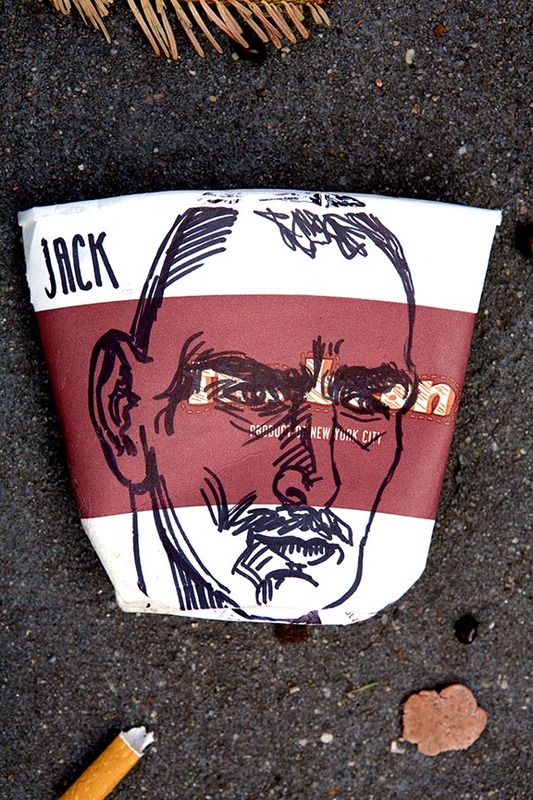 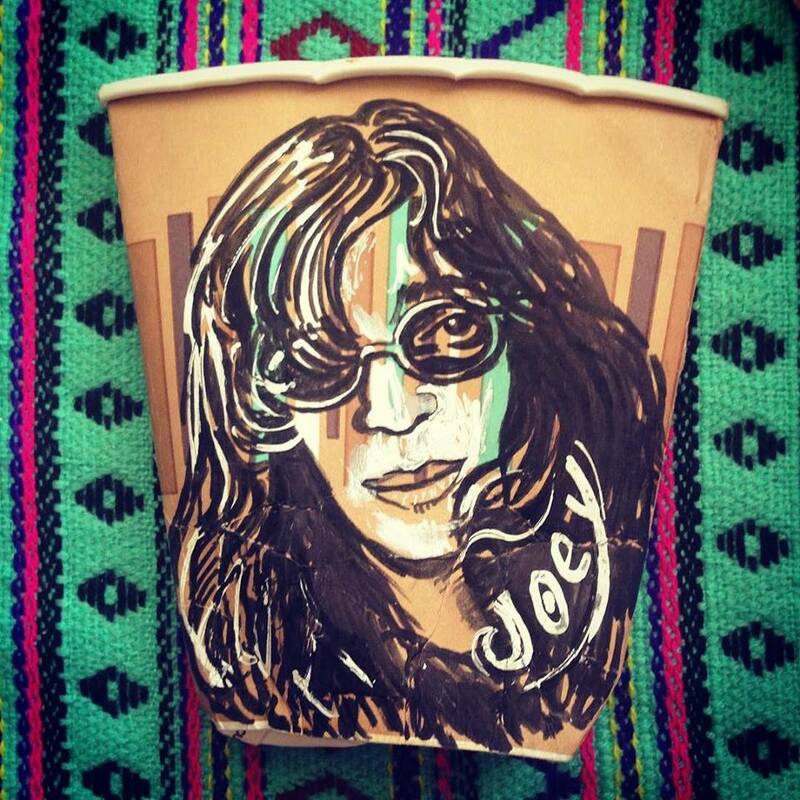 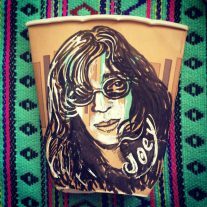 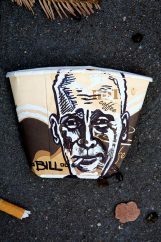 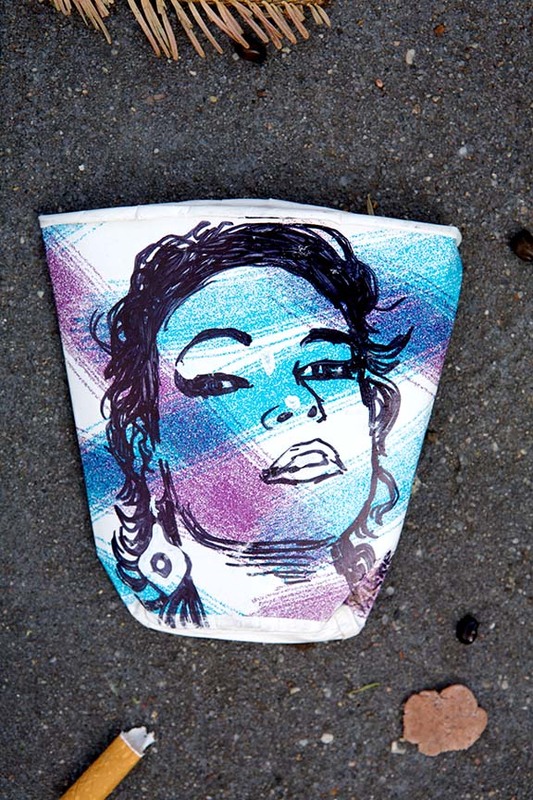 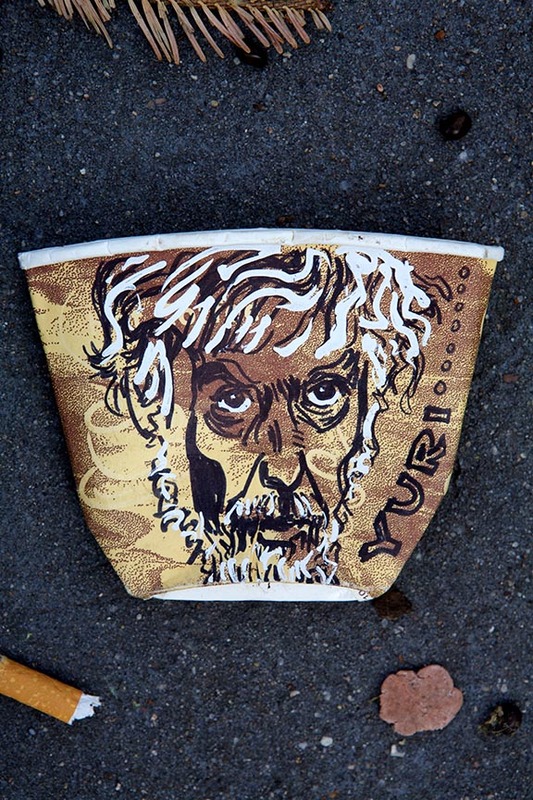 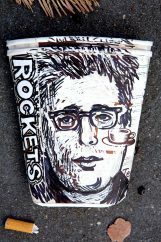 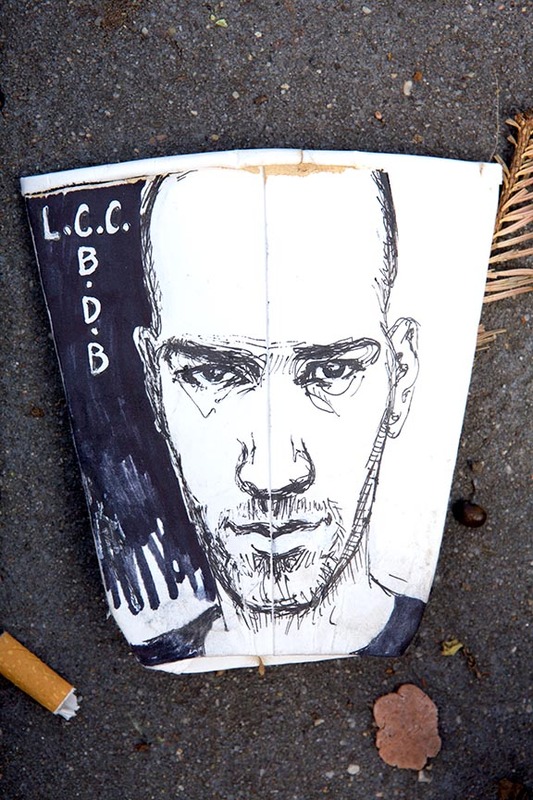 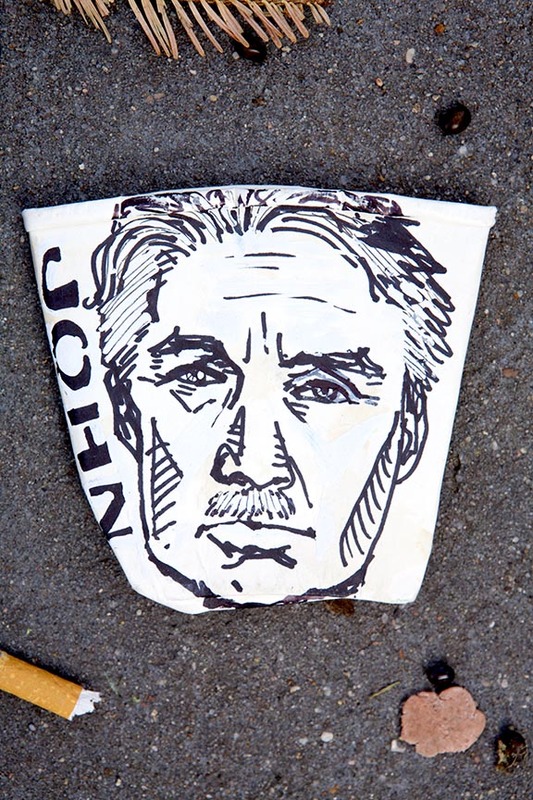 Coffee Cup Portraits available as prints – email for sizes and info. 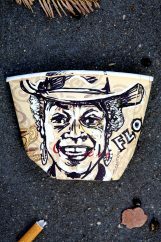 And of course, custom Coffee Cups painted on commission. Your cup or mine? 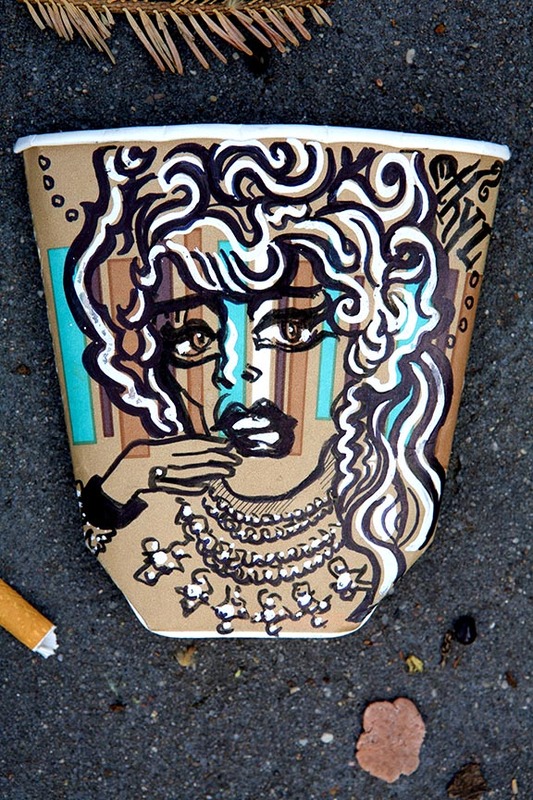 Seriously B.Y.O.C. 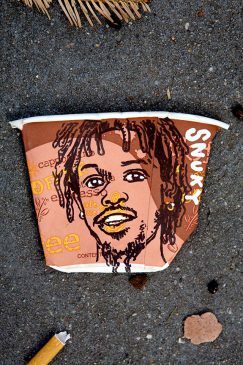 is what the kids are into these days. 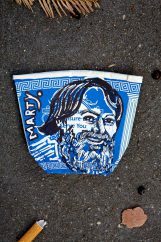 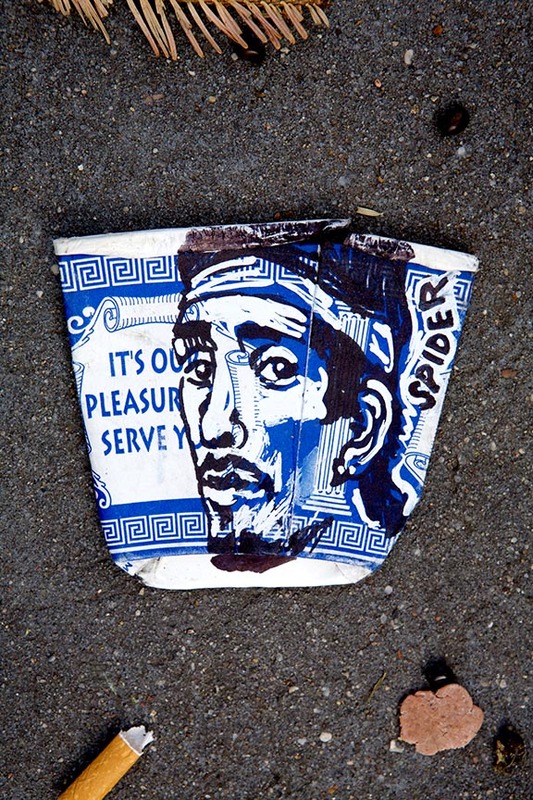 But i have some old school Greek diner cups for those of you in need. 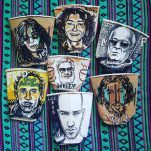 This series of small portraits was created in conjunction with the 2016 Acker Awards in New York City. 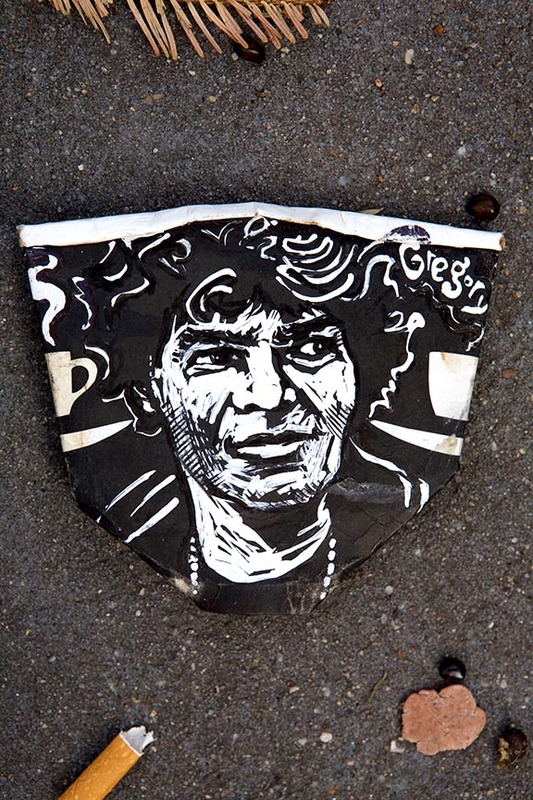 The Acker Awards celebrate cultural leaders and persons of import to the history of New York and San Francisco – and especially the Lower East Side and its underground scene. 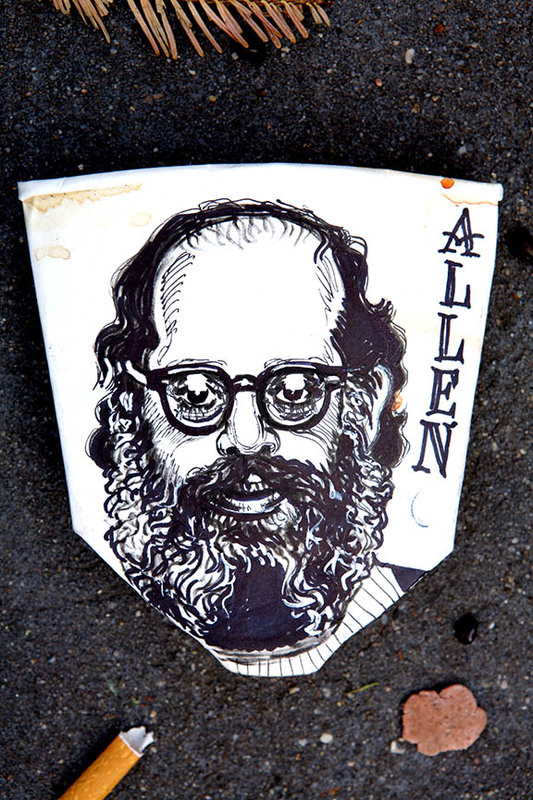 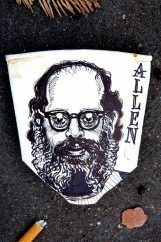 Social unrest thrived in the LES and these people fought for justice with their art, their politics, and their lives. 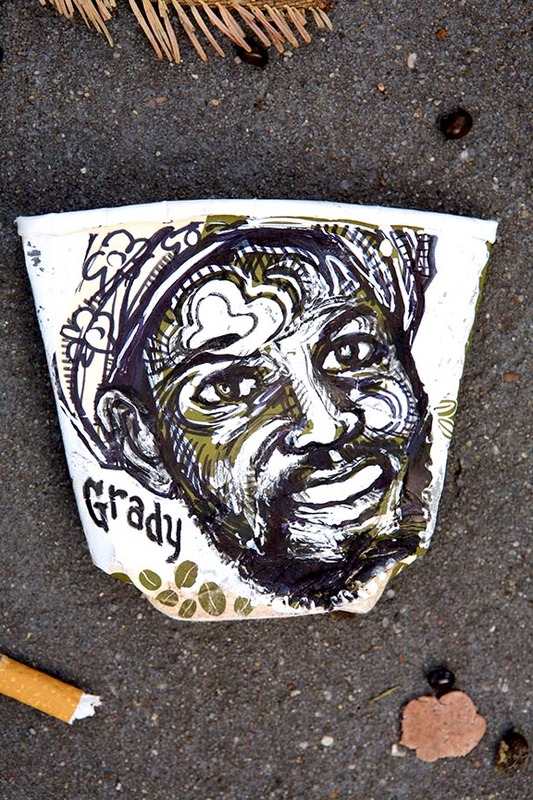 It up to the members of a community to celebrate their history and remember their roots. 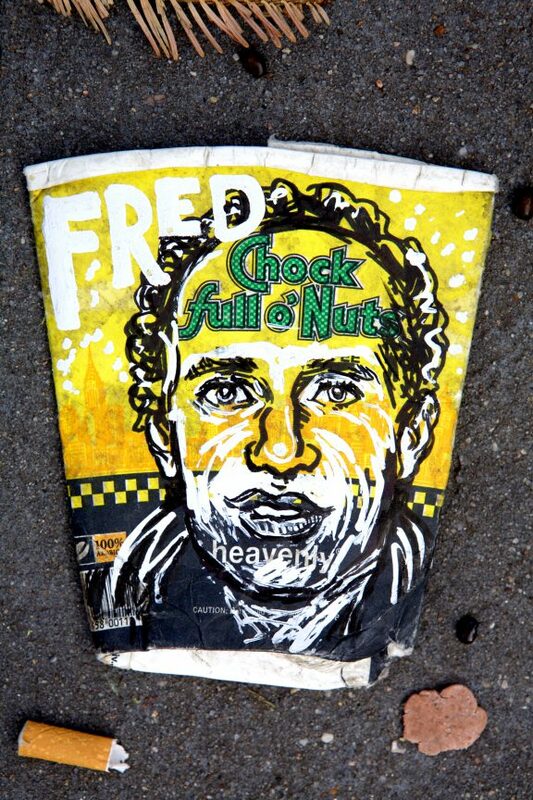 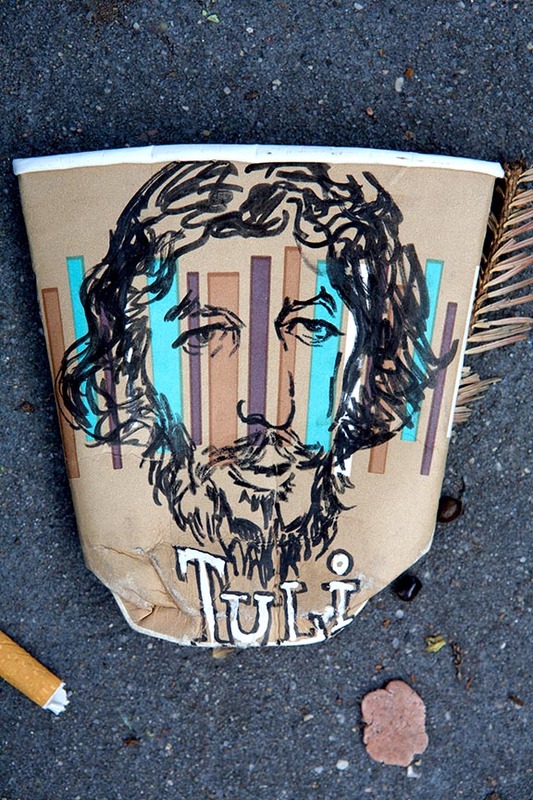 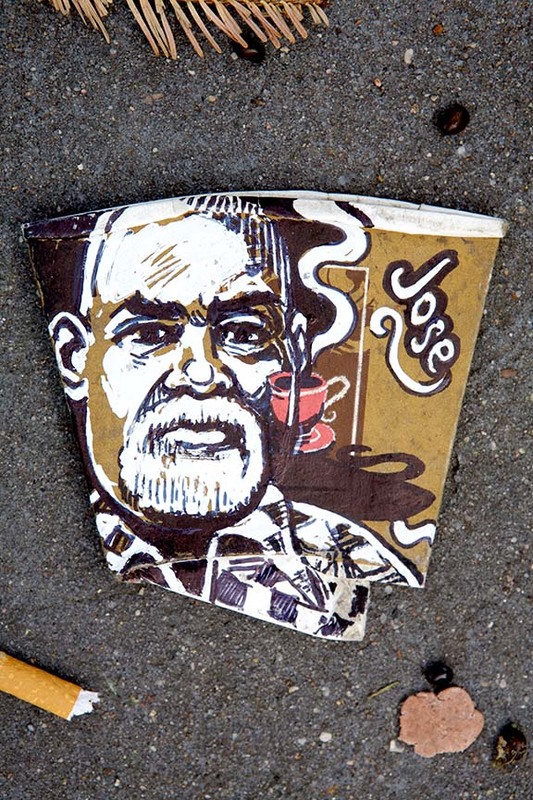 The crushed coffee cups seen by the curb at every corner of the city are a relative sliver of the daily detritus cast into the streets by the teeming throng of humans stampeding in every direction. 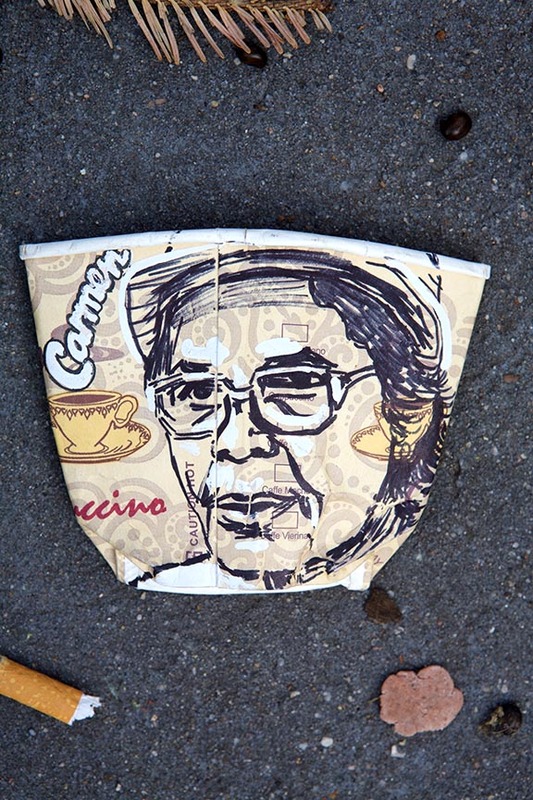 A perfect canvas, in other words, for portraits of New Yorkers. 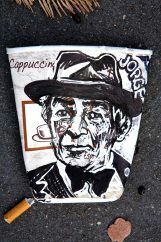 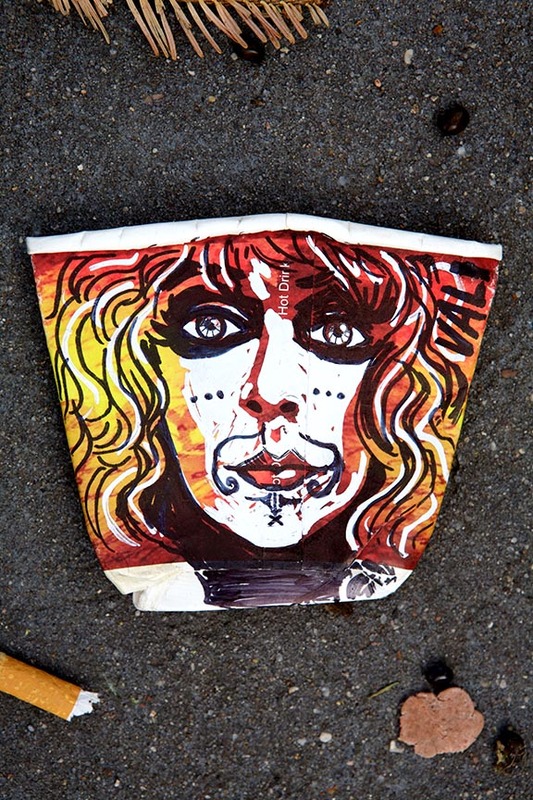 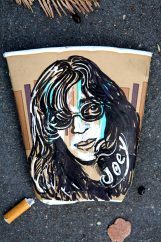 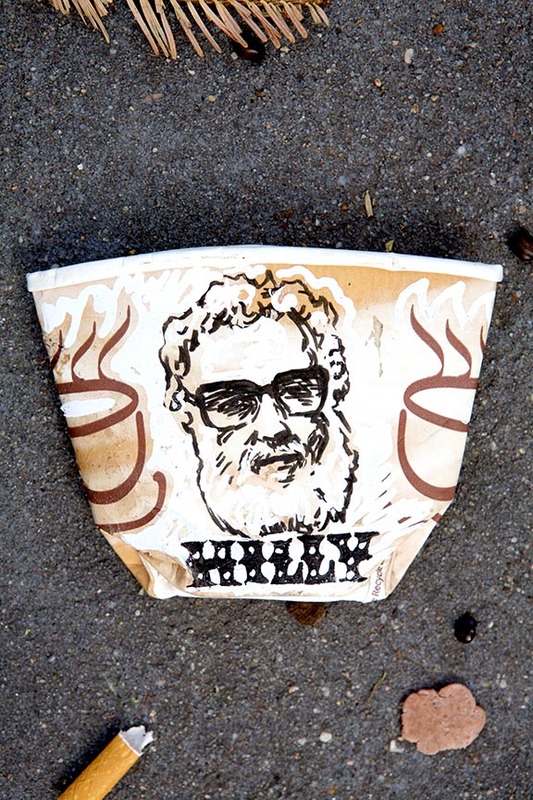 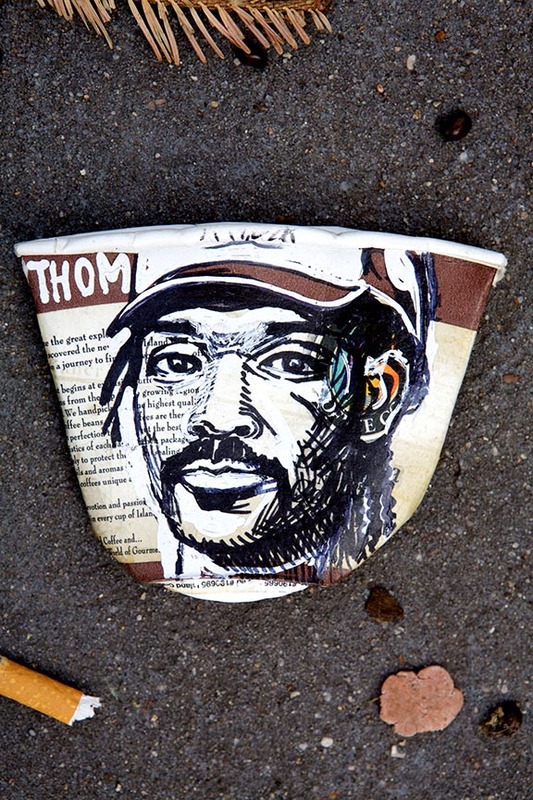 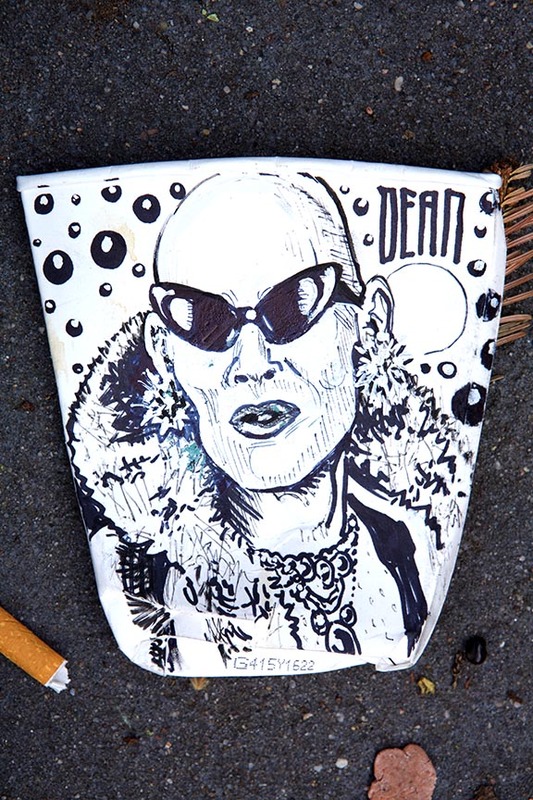 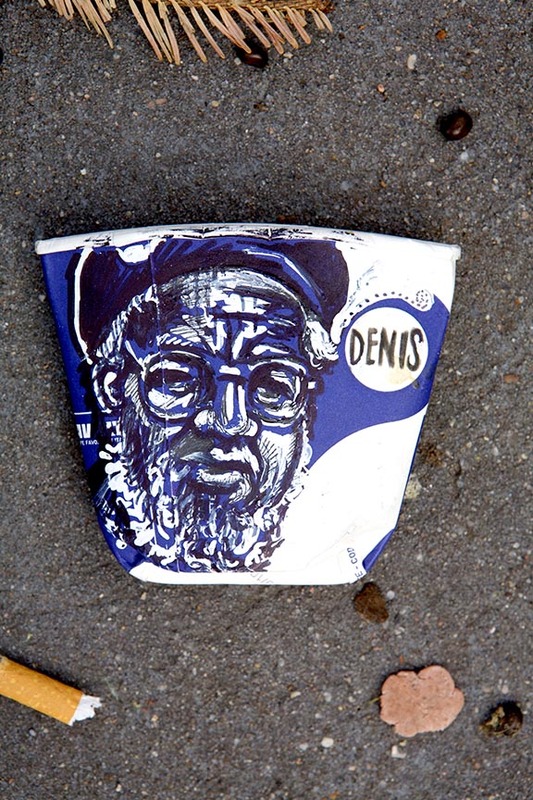 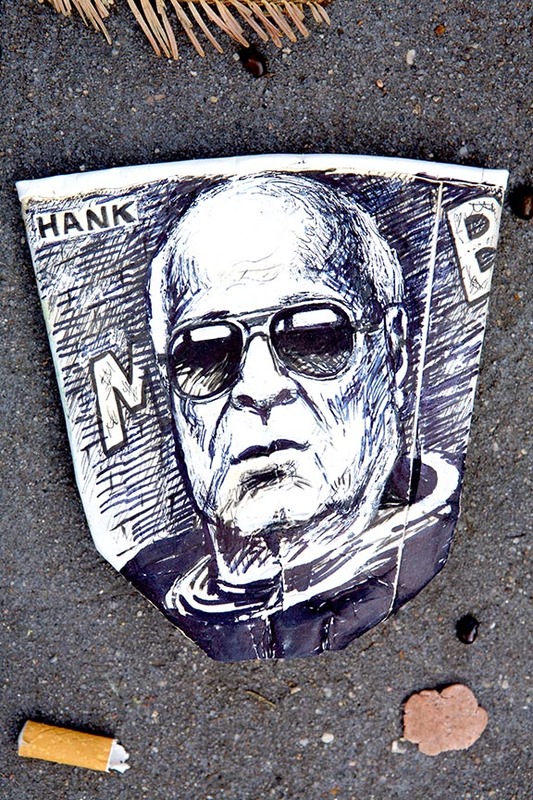 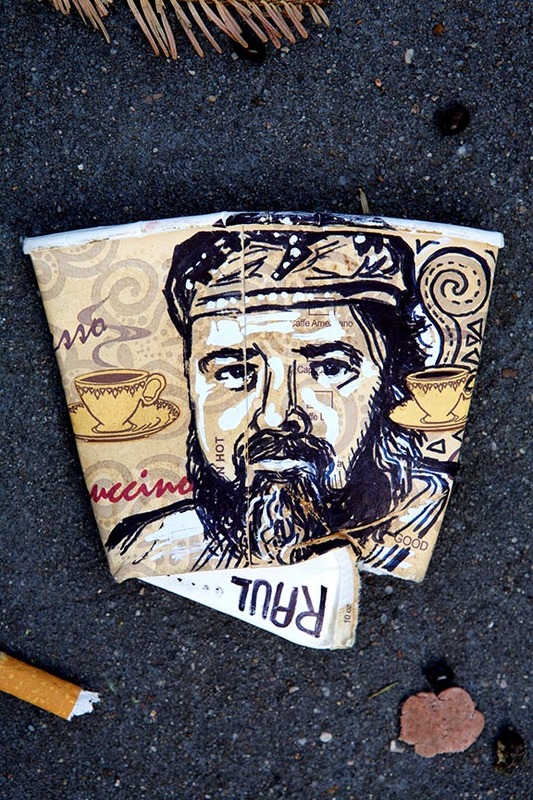 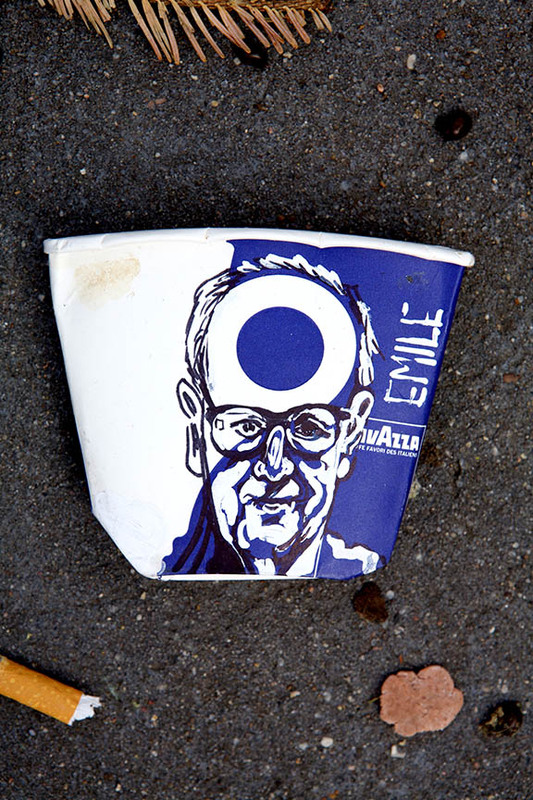 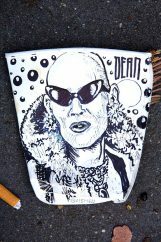 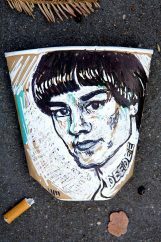 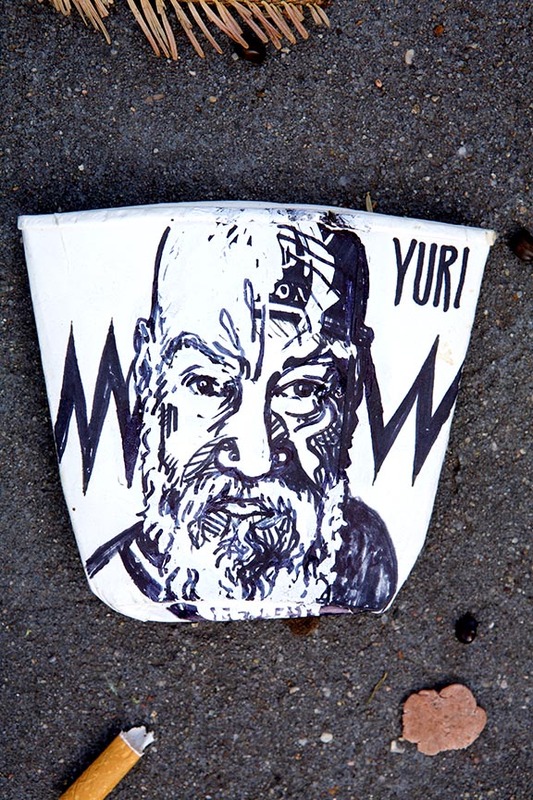 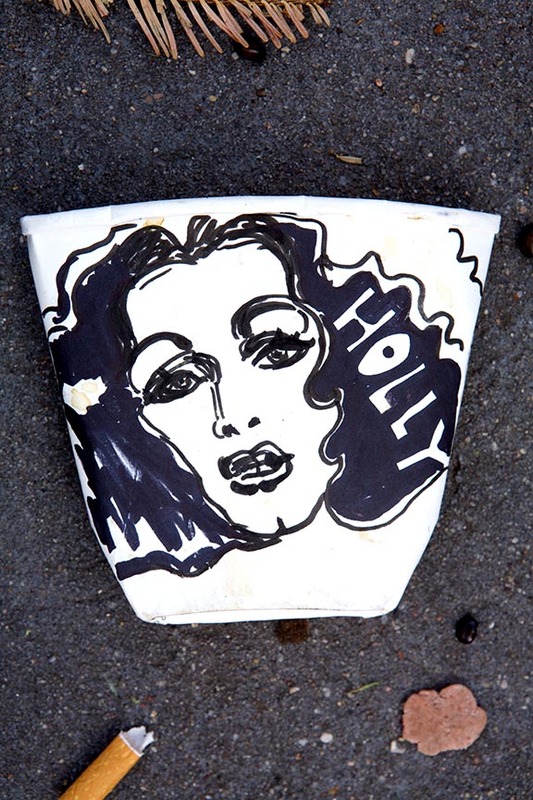 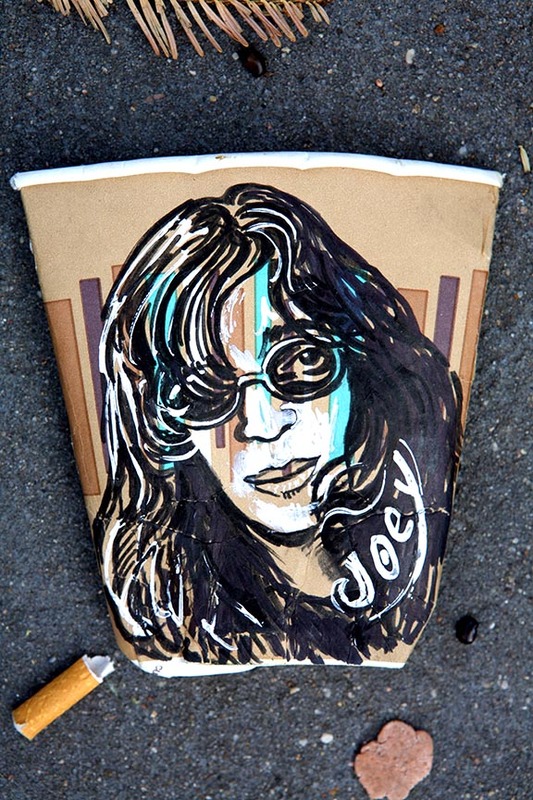 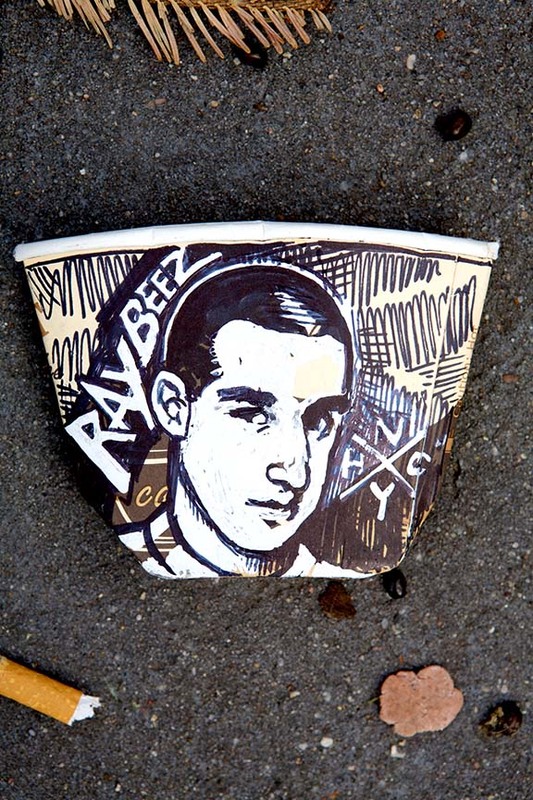 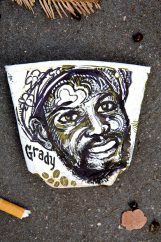 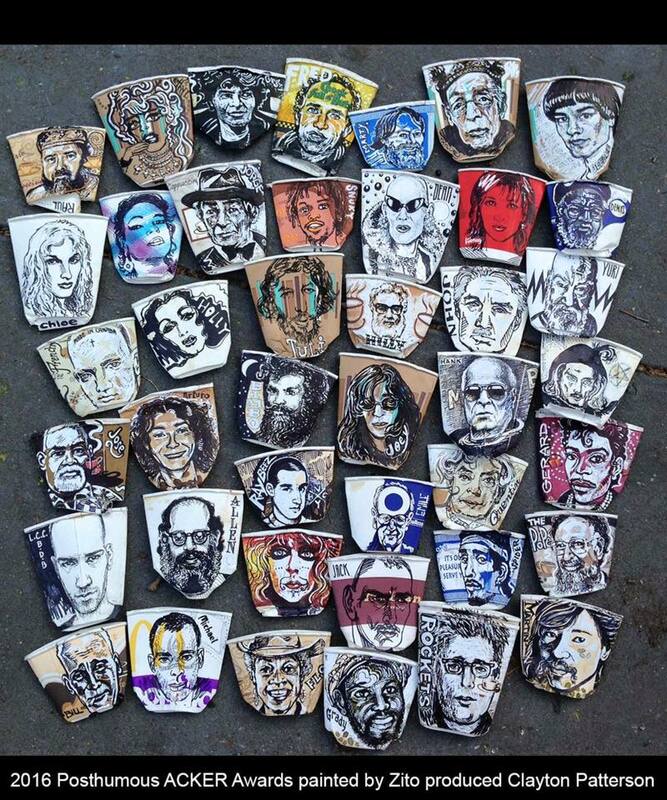 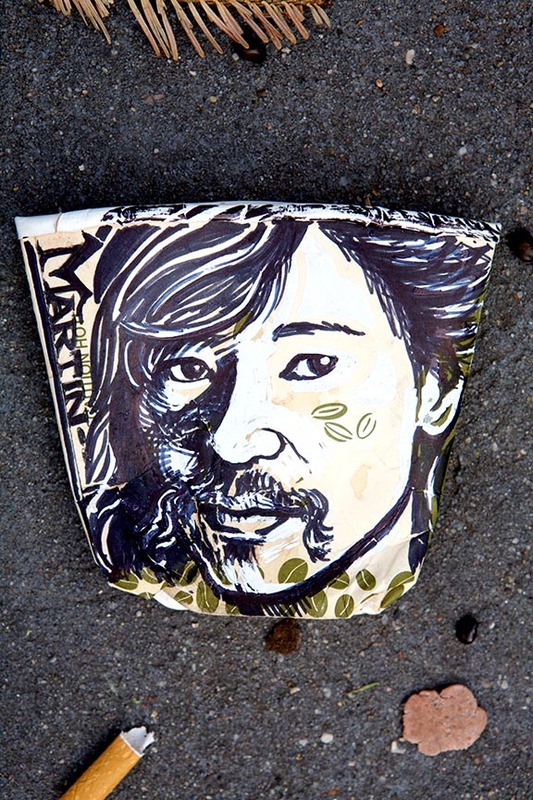 Most of these discarded coffee cup canvases were collected in the Bronx near the 238th Street Station on the 1 line.